It’s April 15th and for most people–including myself–that usually means you’d better have your taxes done or an extension filed. (Thank goodness for tax deadline hitting on the weekend because between you and me, I haven’t located all my documents yet and I need the extra couple of days.) This year though, it more importantly means we’ve hit the halfway point of Camp NaNoWriMo. 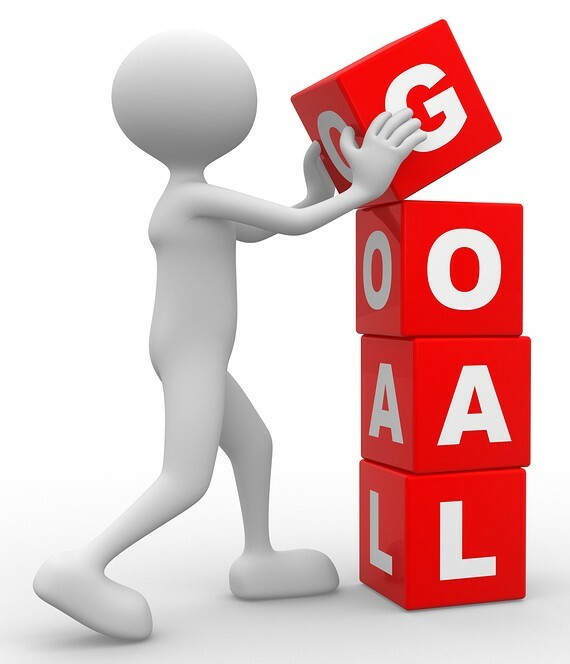 This past Thursday I hit another milestone–I finished Heroic Journey Step 9 and also the third to last page of my outline. It felt pretty good to hit that minor step, considering I’ve been working on this thing for quite a while now. Every day I’m that much closer to the Big Event that is my book’s climax, and it’s exciting to see if it will go as planned (a.k.a. follow my aforementioned outline) or if something will take the story off on a tangent. I’m hoping my characters will stick to the script, because frankly I need them to tell me if I think how this thing is going to end is how it’s really going to turn out. I have quite a list of possible choices I can choose from, and I have one that’s pulling ahead of the rest of the pack. Still, I think it’s going to take Reese and Rowena to tell me how they want their story to end. Fortunately, I’m 10,000 words closer, all because of Camp. I guess we’ll all just have to wait and see, huh? Good afternoon, wrimos! I bet you’re wondering what’s been going on since my last post waaaaay back in July when I was last talking about Camp NaNoWriMo. Well, from the sheer lack of posts you can probably surmise that I didn’t do well at all. You are not wrong. I got about 3,500 words written out of my projected goal of 15,000 and then I went kaput. I can’t really recall why that happened, just that it did. What I do remember is that my plan to use my bullet journal to track my word count actually was the most successful thing about Camp this year. Fortunately, I have a much bigger support network for the real deal competition that is National Novel Writing Month, aka NaNoWriMo. Plus, many more friends are participating, so it’ll be much easier to get motivated and stay that way. Official site updated. On the first day it was available, I went in and added all the details I could, including a brand-new excerpt from the story that I worked on last month. My BFF likes it, but I’m hoping she’s not just saying that because she’s my BFF. You’ll have to let me know. I also got to check off a bunch of personal achievement badges, including the one for Camp. Nifty! Novel chosen. I’ve decided for the third year in a row to once more work on my story about an immortal knight, The Curse of Camlann. Hopefully I’ll finish the thing, or at least get darn close. It also earns me the NaNo Rebel badge, which is pretty cool. Playlist page added. Since I’ve been listening to the thing for almost a year, I thought it might be fun to post it on the blog like I did the one for The Great Boyfriend Experiment. To see what tunes I’m grooving to while writing, or driving in the car thinking about writing, check out the page under About Nik’s Novels in the menu above, or you can go there directly by clicking here. This too earned me a badge, the Novel Maestro one. Working lunches scheduled. Fellow wrimo and co-worker KellyLindy and I will once again be meeting up during the week to write together, inspire each other and have mini word wars during our lunch hours. We’ve co-opted a conference room with no windows so the only distractions will be those we bring in with us in the form of healthy and not-so-healthy snacks, and caffeine. This one got me the Wrimo Spirit badge. I’m racking ’em up! Pinterest inspiration board updated. Not that long ago, I discovered a little gem of a BBC television show called “Merlin” during one of my summer Netflix binges. I am here to tell you that I have totally and without any remorse whatsoever stolen the Camelot they created and made it the one that Reese was born into back in the 6th century. Heck, the show’s finale two-part episode takes place during the battle in which he gets cursed, so it doesn’t get more perfect than that. To find out more, check out my Curse of Camlann board. 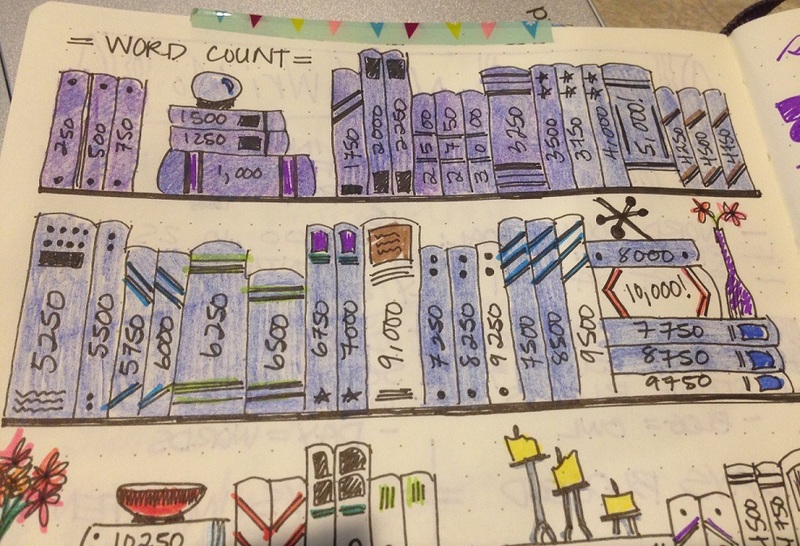 Word count pages recycled/created. As I mentioned at the top of this post, the best thing about July’s Camp was the word count chart I’d created. So, I’m going to do that again. In fact, I’m going to also reuse the one from July; it still has 86 books to color in as I’d set it up for a 25,000 word count goal. I’ll just use a different color, perhaps blue to match our NaNonaut, for November’s goals. I think this one definitely counts for the NaNo Prep badge, right? Whew, that’s a lot to get done so far. 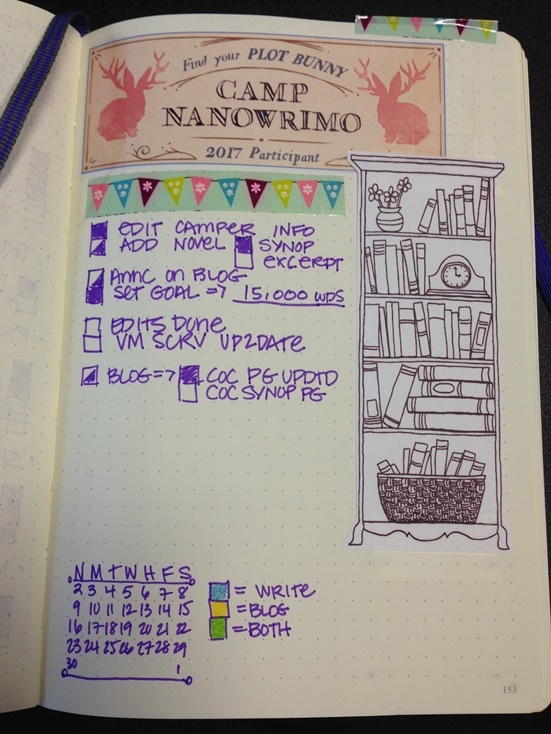 According to my bullet journal NaNoWriMo task list, I have only a couple items left to check off. One is definitely optional, and the other is half optional. I need a reliable computer, and thanks to a failed Windows 10 update, I am now tied to my power cord since my battery got all mucked up. Cross your fingers I find a good deal on the laptop I’m looking for; I don’t need a lot, just something that will run a few Office apps and Scrivener. I’ll hopefully check back in before NaNoWriMo officially starts. If not, I will definitely keep you in the loop about how writing’s going once it’s in full swing. Talk to ya soon, wrimos!